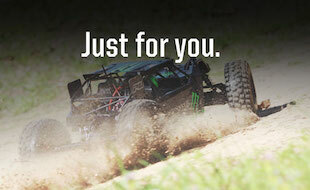 Episode 216 of the Radio Control Show featuring the HPI Baja 5B Flux! Episode 216 of the Radio Control is highlighted by Aaron Waldron’s test drive with HPI Racing’s most radical 1/5-scale yet! The 29.6-volt, 23-pound, 60 MPH Baja 5B Flux is sure to make the hair on your arm stand up as its big brushless motor screams past, launching the car into low orbit over some huge jumps in Oceanside, CA. Erich Reichert shows you a quick and easy way to build a tire tub and keep your tires at the top of their game, John Reid shares an easy tip to save your throttle servo from wear and tear, and we get an up-close look at a very large AT-6 Texan on its first flight. Watch the show, enjoy the action, and let us know what you think in a comment below!